Procrastination - Could it be a sign of anxiety? Procrastination - A Sign of Anxiety? Procrastination is often thought of as being lazy or just not enough willpower to take needed action. That you just need to force yourself through it somehow. 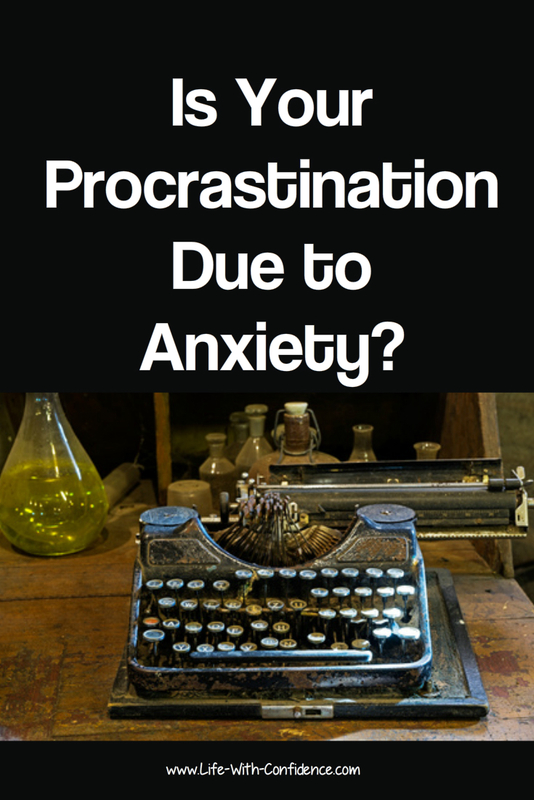 But what if your procrastination or resistance is actually due to feelings of anxiety? Before you scoff and say, "I'm not feeling anxious. It's just easier to watch tv instead of working," hear me out. Anxiety can be very subtle. It doesn't have to be a full fledged panic attack. I used to find myself in a state of inaction with everything, a sort of paralysis, and I wouldn't even know why it was happening. It wouldn't just be with whatever project I wanted to work on either. This feeling of being stuck in La La Land as I used to call it would affect every aspect of my life. I just didn't seem to be able to get anything done. I could feel a deep resistance inside but I didn't know what it was from. I'd then start noticing that I was watching a lot of tv or mindlessly surfing the net and days would go by and I'd have no idea what I'd been doing. I couldn't understand this incredible resistance phase I seemed to end up in or why I couldn't get free of it. Sometimes weeks, even months, would pass before I was able to escape its power. There had to be an answer to why this crushing procrastination was happening and it wasn't just because I was being lazy. I really wanted to work on the project, I just didn't seem to be able to get out of my state of paralysis. It wasn't until a friend suggested it might be anxiety that all the pieces started falling into place for me. At first, I wasn't sure. My understanding of anxiety wasn't what I thought was happening to me. I wasn't having a panic attack. I was just frozen in place and feeling a lot of resistance. 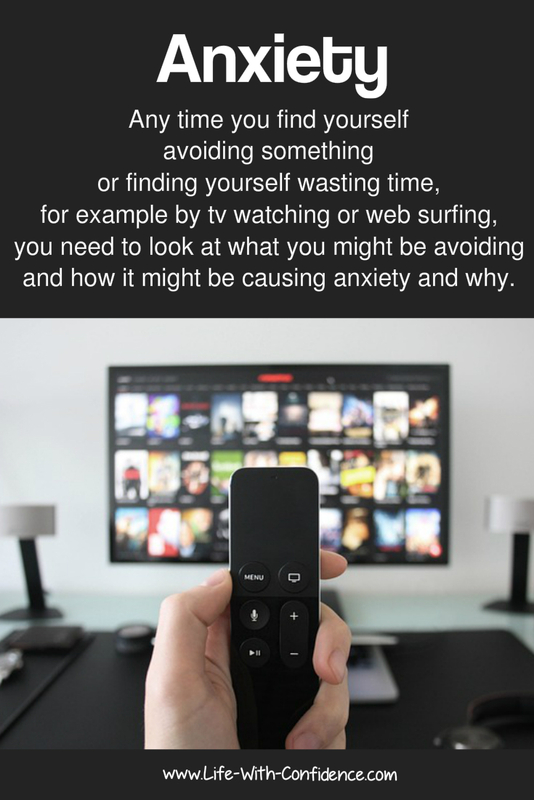 But this can definitely be a form of anxiety and unless you take the time to pay attention to any inner feelings, you could be procrastinating due to anxiety and not even be aware of it. Someone who did a lot of research on this topic was Claire Weekes (11 April 1903 – 2 June 1990), an Australian physician, who discovered that a lot of her patients suffered from anxiety issues and it would affect them in numerous ways. I just finished reading her book, Hope and Help for Your Nerves, which provided some valuable information on what was happening to me but also explained anxiety in ways I hadn't thought of before. 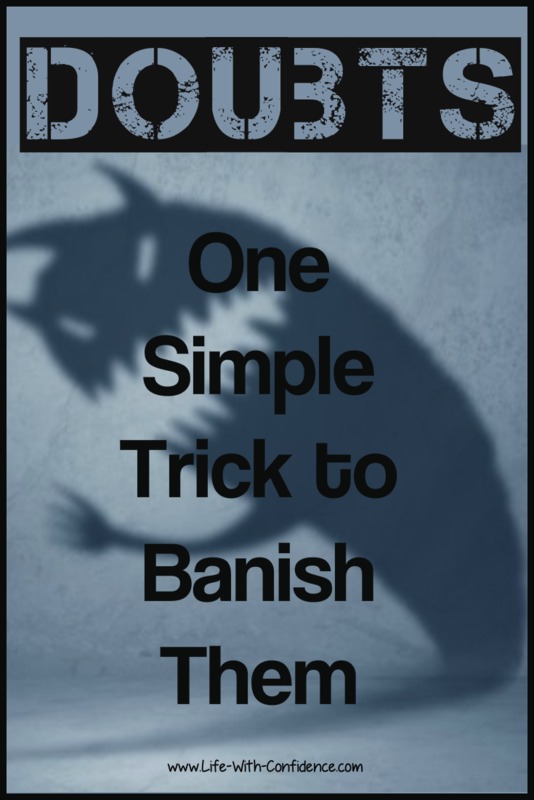 She also provided the most amazing, yet simple, technique to deal with anxiety. Weekes felt that a lot of anxiety was caused by two fears. The first fear was the standard reaction to something fearful or startling, something happens and you react automatically. The second fear is the interesting part in that she says it's the fear you add to the first fear. So, something happens and then you start thinking things like, "Oh no, it's happening again. I can't handle this. I can't stand it. I'm going to make a fool of myself in front of everyone. I'm going to fail. I'm trapped. I have to get out of here." It's the fear or panic of having that first fear occur. As Weekes says, you "may be more concerned with the physical feeling of panic than with the original danger." One thing that Weekes noticed is that highly sensitized people often have developed a habit of being in a state of “fear-avoidance". Basically she felt a lot of anxiety was caused by people wanting to avoid fear. They were afraid of fear which takes us back to the anxiety and procrastination. You might want to work on something but the thought of working on it might trigger a fear response in you which then instantly triggers a fear of that fear so you end up doing something else in order to avoid having to experience any fear or discomfort. This fear of fear can happen in nanoseconds and on a conscious level you might miss what just happened. All you know is that you have a sudden strong desire to go watch tv or you feel overwhelmingly tired or you just have to get up from your desk and do something else. The first step is to start paying attention to what you're feeling when you realize you're procrastinating. Are you carrying any tension in your stomach or gut? Are your muscles tensed? Do you feel a sense of resistance like I do? If you are, that's a good sign you're feeling anxiety. The Weekes technique is to feel the anxiety and "float past" it. She wants you to allow yourself to feel the emotion and know you're going to be fine and it'll pass quickly, as long as you don't react with additional fear. She doesn't even want you to learn any relaxation techniques because if you're trying to relax then that means you're resisting the feelings and not fully accepting them. She says, "Don't even strive for relaxation. Simply let the thought of relaxation be in your mind, in your attitude towards your body. Loosen your attitude. In other words, don't be too concerned because you are tense and cannot relax. The very act of being prepared to accept your tenseness relaxes your mind, and relaxation of body gradually follows. You don't have to strive for relaxation. You have to wait for it." Another important point she makes is that, "Instead of tensing your body in anticipation of what may happen, let it go, slacken it, release it. Slacken those strings." Tensing your body is a way of resisting the emotion and you don't want to do that. You want to let yourself feel the emotion so it can be released. In order to understand how to accept or feel the anxiety without resisting, let's take a closer look at what Weekes suggested. Weekes recommended people float through their anxiety. What does that mean? It means you float as in you're swimming through your emotions in a calm, easy way. Weekes would have the person put out their arms and imagine swimming. 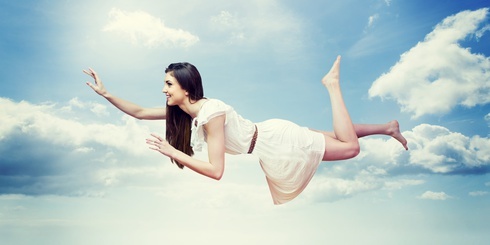 Or if you're like me and don't like water, she had the person imagine floating on a cloud. Either way, you're not resisting the feelings which are coming over you. You're floating through them and by doing that, the emotions quickly disappear. The trick is that you can't add fear to your feelings because if you do then your anxiety increases. Just allow yourself to feel it and float past it. When you allow yourself to float through the feelings, it means you're accepting those emotions fully. You're not trying to control them or stop them or deny them because that's resistance. I used to fear that if I let myself feel anxious that I'd lose control or that I wouldn't be able to stop it and it would just completely overwhelm me. As soon as I felt anxious, I would instantly try to get control over it and stop it from getting any worse. Or I would want to deny that I was feeling it and try to focus on something else instead. Bottom line was that I wasn't dealing with the anxiety at all. I was trying to get rid of it or deny it because I was afraid of it and I was afraid of what would happen if I allowed anxiety to happen. An amazing realization is that you can't make your anxiety worse by allowing it to happen. So, it's okay to allow yourself to feel it. If you accept it, it's not going to get worse and worse. Instead, it'll go away. It's not what you'd expect but once you've tried it a couple of times, you'll realize it's true, letting yourself fully feel the emotion means that it then passes quite quickly. It passes far faster than if you try to deny the feeling or suppress it. The floating for me happens after I've faced the anxiety, not before as the Weekes Method recommends. It's the anxiety that floats away for me. I do like the imagery of floating as a good reminder for me to not tense up and try to prevent the anxiety from happening. The biggest and scariest part of this whole technique will be recognizing the anxiety and facing it. You might feel waves or ripples of fear start coursing deep down inside of you and that might cause you to feel even more fear. But let them come instead of fighting them. If you can do this then you'll find those waves of fear will just fade away instead of becoming so strong you think they might drown you or crush you, which is going to be your initial fear until you've tried this out a few times. And, yes, I know, the idea of feeling the anxiety and not trying to have complete control over it will be absolutely terrifying at first because you've been trying so hard to avoid your anxiety your whole life. I also know that it really does seem too simple to just feel it and that will free you from the terror of anxiety. But, yes, it's true. Weekes also discusses that it's important to avoid trying to stay in control or being determined to keep yourself together. She says that's a fear of falling apart. That you need to just accept the emotions. How many times have you tensed your entire body in an effort to not fall apart? That's what you want to avoid. Stay in a relaxed state. "The relief of loosening your tense hold on yourself, of giving up the struggle and recognizing that there is no battle to fight - except of your own making - may bring a calmness you have forgotten existed within you. In your tense effort to control yourself you have been releasing more and more adrenalin and so further exciting your organs to produce the very sensations from which you have been trying to escape." This idea of not trying to maintain control over my feelings was the turning point for me in being able to handle anxiety. Before I read Weekes's book, I was always trying to control or maybe suppress my feelings. I'd try relaxation techniques, I'd try being mindful, I'd try distraction, and none of it worked because I wasn't allowing myself to feel the anxiety and thus release it. I can see now that even when I was trying to allow myself to feel the anxiety in the past, I was doing it with the mindset that I needed to get control over it so I wouldn't fall apart. This new understanding truly has made the biggest difference for me. Another part that's important to understand is with the acceptance process. "Make sure you know the difference between truly accepting and just 'putting up with.' 'Putting up with' is what you have been doing for a long time. Putting up with means tensely going forward, hoping the disturbing feelings will not come. Putting up with means withdrawing from panic in panic; adding panic to panic, hoping that panic will go quickly and not come back; it means avoiding people and places that bring on panic so that one's horizon becomes narrower and narrower until is is finally bounded by the front gate; it means always keeping the way open for quick retreat; it means expecting retreat. It means continued illness. True acceptance means letting your stomach churn, letting your hands sweat and tremble, letting your heart thump without being too disconcerted by them." 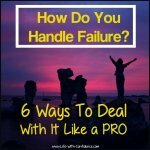 The great thing about this technique is that she says the more often you do it, the less sensitive you'll be to feeling anxiety in the future. People often become sensitized to anxiety and this leads them to feeling anxiety at the slightest thing. It becomes a habit or an automatic way of responding to any stimuli. By working with this technique, you should become less sensitized and find you're not constantly reacting anymore. Besides being able to cope with situations better, another benefit is that you won't feel so overwhelmed and tired all the time either. When you're in that constant state of fear and anxiety, you may also find making decisions is difficult so yet another benefit you may find is that once you're in a constant, calm state, you may find that you don't struggle with making a decision anymore. Or at least, not as much. Until you get to the new improved state though, be gentle with yourself and don't feel terribly frustrated that you struggle with making decisions. It'll come. It will take time to get to this point though. You're training your body to respond in a new way and it won't happen the first time you try out this method. It won't take long though before this new way of reacting becomes your go-to habit. Okay, let's go through the process one more time so you can see how it works in detail. The way it works by admitting to yourself what you're anxious about. You then face it by allowing yourself to feel that anxiety fully (as much as will come). If "what if" thoughts start popping into your head, tell yourself you can't do anything about those right now and they can wait until later. This also includes all those "What will I do...?" or "How will I...?" thoughts. Deal with those later. Just focus on realizing you're feeling anxious and be fine with it. Keep going through these steps with every project, thought, fear or situation that you think might be causing you to procrastinate or have racing thoughts at night or why you're lying in front of the tv all the time. You let yourself feel the emotions until the anxiety finally lessens and fades away. You can take some deep breaths if you feel that will help you cope but you probably won't need to. You just need to wait it out. Keep processing. Touch the anxiety, really let yourself feel it. As Weekes said, you can't make anxiety worse by feeling it. And this whole process takes only minutes. I find that whenever I realize I'm procrastinating that I can also ask myself if I'm feeling anxious about it. If I am, I can then blank it out or turn it off. I basically realize that I'm feeling anxious and that it's not worth the energy to do that and get back to focusing on the task I need to do. Simply by becoming aware of the anxiety seems to allow me to let it go and I don't get into a state of paralysis. 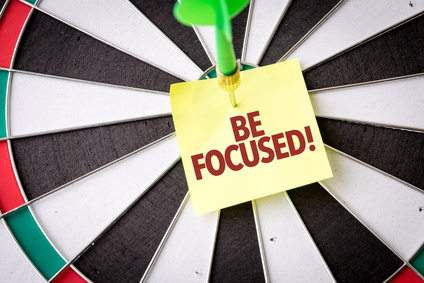 I can focus again on whatever it is I want to do and just calmly move forwards with it. I thought it might be helpful to also include various emotions and tasks that you may not realize can create a sense of anxiety in people. If you feel yourself becoming too wary, watchful, or vigilant, these are all anxiety states. If you're feeling hatred (or anger or resentment) this breeds conflict and anxiety. Anxiety arises in us when we fear that our efforts do not matter, and it arises in us when we do the creative work that matters to us. Since anxiety will arise in either case, decide to do work that matters to you, even if doing so provokes anxiety. anxiety of time passing and of missed opportunities. When your sense of who you are does not match your sense of who you ought to be, you experience anxiety. Making decisions can be very anxiety inducing for some people. You can even have anxiety about anxiety. As Mastering Creative Anxiety points out about fearing anxiety, "Most people are made anxious thinking about anxiety. This dynamic prevents them from analyzing their situation and coming to smart conclusions about what triggers their anxiety and what anxiety-management tools they might want to use to reduce their anxiety. Try to bring some calmness to your anxiety analysis. Once you begin to think calmly about the role of anxiety in your life, you can arrive at some real solutions." Weekes said, "Try to see your panic for what it is, the exaggerated response of sensitized nerves and not necessarily an expression of the magnitude of your problem... 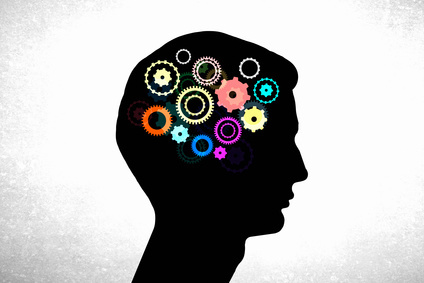 Sometimes a tired brain can be exasperatingly overactive." Basically the way to beat anxiety is first to notice that you're feeling anxiety and then let that be okay. Know that if you feel the emotions, you're going to be fine. They'll pass quickly as long as you don't fight with them. Just let them be on their way. 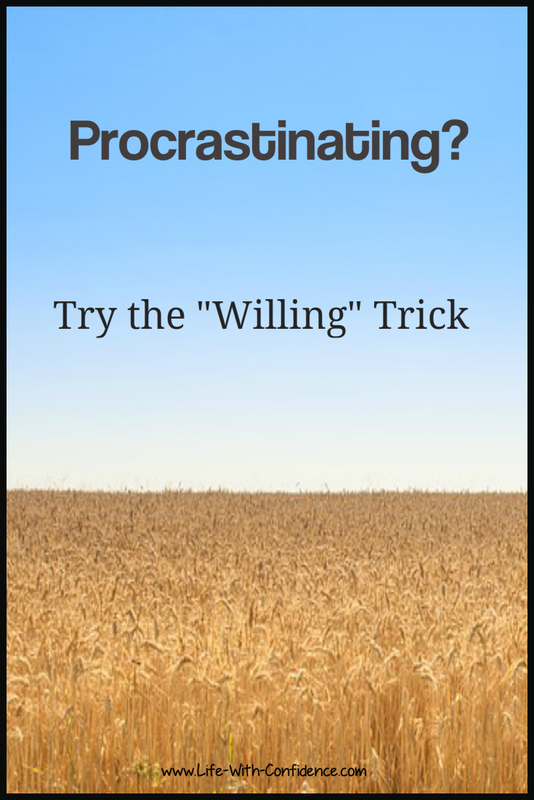 I've been finding this technique life changing as I'm no longer stuck procrastinating and not knowing why. Decision Making Anxiety - how making decisions can cause anxiety and going into the Weekes Method in more detail. Invalidation and Anxiety - how invalidation may be behind your anxiety and your lack of self-confidence. 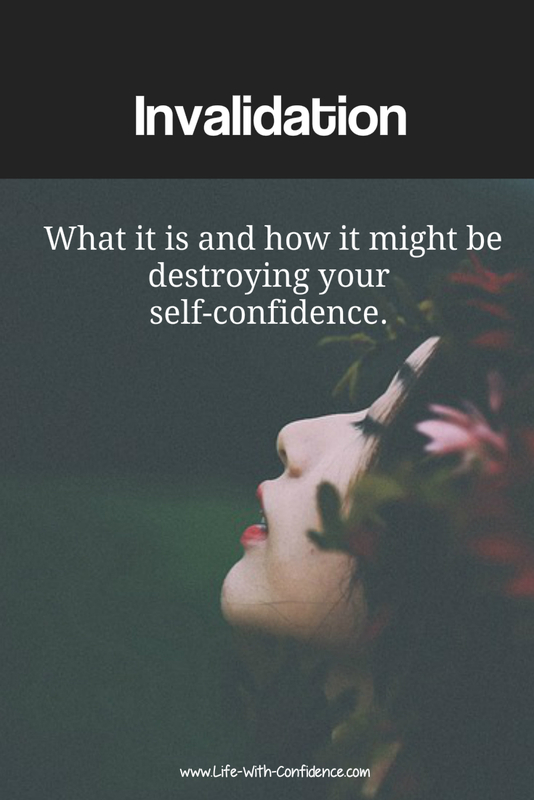 Self-Doubt and Anxiety - how doubts can cause anxiety and how to overcome it. Procrastinating? - Try the "Willing Trick"
Trouble Focusing? 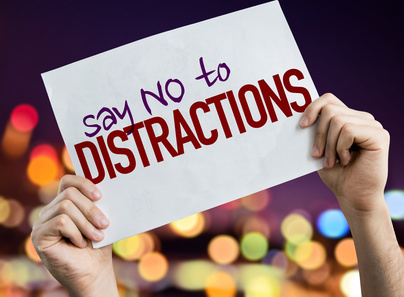 - here's why distractions can be so hard to resist. 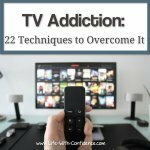 The Bad Habit Of TV - What are you really using it for?